My name is Jim McConnell, my gracious wife of 27 years is Diane. Signed up at UOR 2019. Great event. Very impressed with the integrity and character of LSJC. First time Jeep owner since May 2018. 2015 JKU that was nicely mod'ed when I bought it. 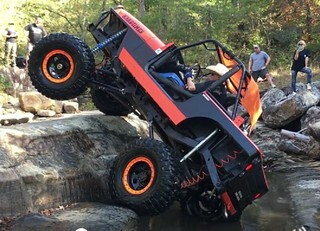 I am less of an off-roader, but want to learn proper rescue techniques. Main passion is Search & Rescue, ARES/Skywarn (KE4JBP) and honoring our heroes of LEO and Military. Jeep has 11 Meter, Yaesu Quad Band, Ham and GMRS Licensed, APRS, Full MLAT / Mobile ADS-B, and soon 4G/5G rugged Mobile Internet for the RF fans. Live in Trophy Club and work for a small company called Verizon for almost 25 years as a Corporate Security executive where I have operated in about 20 countries and licensed as a personal protection officer, private investigator, and TCOLE trainer under Texas DPS. Member of Gateway Church's Offroad Men's Group. Thank you ahead of time for your patience and hopefully, I can provide value to the club in the coming year. Aboard Jim and Diane. See you at one of our functions soon. Welcome to the family. I look forward to meeting you and Diane. Welcome! I watch Gateway Church (Just Started) on Sunday before I go to Church. Welcome to our jeep family! Welcome!! It was great meeting you at the show. I look forward to getting out on the trails with you.